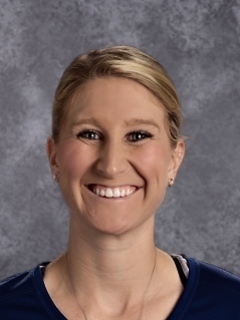 Greenfield Track season is underway and thrilled to showcase a new face in Head Coach, Olivia Dobbs. Dobbs comes from an extensive Track and Field background and has a plethora of knowledge, making this transition a smooth and exciting one for our Wildcat Athletes. Olivia Dobbs is familiar with the area as she grew up in Halfway, Missouri. In High School she was a four year athlete on the cross-country, track and field, basketball, and softball teams. Throughout High School she earned several accomplishments including 3 state titles (1 in the two mile and 2 in the one mile), all state, all conference, and all district awards in the 1 mile, 2 mile, and 800 meters. In cross country, Dobbs placed 14th (fresh. ), 2nd (soph), 5th (junior), and 2nd (senior), respectively. Dobbs High School Career was rounded out by earning honors in softball and basketball while also being a two year recipient of the Southwest Missouri’s Sportsmanship Award. Following an impressive career at Halfway, Dobbs went on to run cross country as well as track and field for Missouri Southern State University in Joplin, MO. At MSSU, Dobbs was in the running for the Division 2 conference Freshman of the Year Award. After her freshman year, a transfer was in the works and took Dobbs to Missouri State University in Springfield, MO. Dobbs would finish out her running career at MSU as a Division 1 Lady Bear running on their varsity team squad. Succeeding her college career, Olivia moved on to become an assistant coach at Willard High School. Dobbs coached long distance, middle distance, hurdles, and sprints for five years. Greenfield Junior High Track is made up of 9 athletes, while the High School team showcases 16. Nine track meets are on the schedule for the 2019 season.